Deacon Alan became a parishioner in 2006. He was born and raised in the Philippines where he studied economics in the University of Santo Thomas. 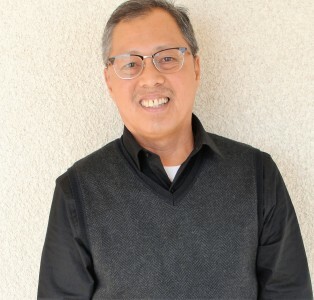 He moved to San Diego in 1986 and in 1997 during a Deaconate Ordination, the Holy Spirit inspired him to follow the footsteps of his now fellow brothers. In 2007, the California fires arrived in San Diego; Alan was ready to evacuate his home, when he received a call from Sister Carlotta from the Diocese of San Diego for the Deaconate interview. With his family and belongings in the car, he arrived at the Diocese of San Diego for the interview. Deacon Alan is also a Third Order Carmelite, and is married to Estrella. Both have three daughters; Ethel Ann, Angel Elizabeth, and Erika Nicole and a granddaughter, Ava Elizabeth. Deacon Alan enjoys reading inspirational stories and spiritual books.